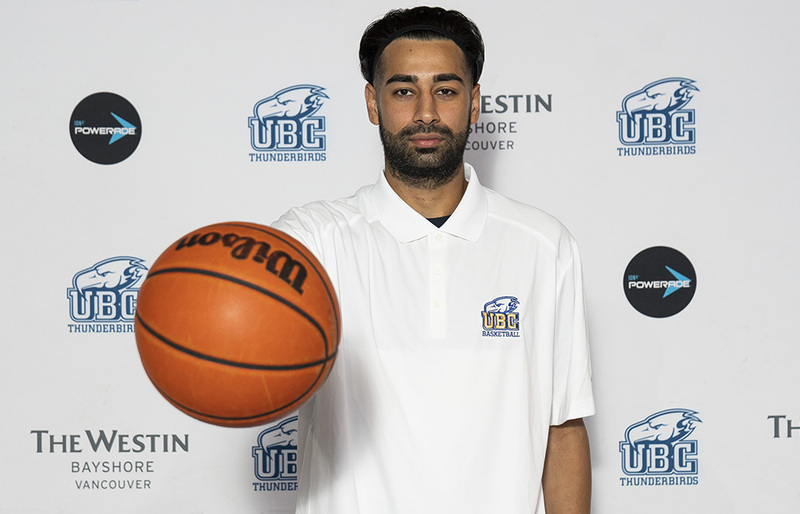 VANCOUVER — There is simply no way to understate just how deep and dangerous the UBC Thunderbirds men’s basketball team got when the news hit Monday that former Burnaby South Rebels’ star Manroop Clair would, this coming season, adorn himself in blue and gold and resume his university basketball career on the Point Grey campus. When it comes to Clair and his ability to shoot from distance, there is no need to speak in hyperbole. Since his Grade 11 year (2010-11) at Burnaby South, Clair’s ability to hit the trey, especially under duress, has been nothing short of spectacular. In fact until Oak Bay’s rising senior Diego Maffia arrived on the scene in 2016-17, it had been hard to classify a player in provincial high school history who owned a stroke as deadly and consistent from distance as that of the 6-foot-4 Clair, and that is saying something when you consider Clair left these shores for the U.S. prep school world following his 2010-11 Grade 11 season. Yet there is more to Clair’s skill set than just his three-point shooting game, just as there is more to his story than simply his decision to finish his post-secondary career at home in front of family and friends. If you want to talk about the kind of shooting zone that Manroop Clair has experienced over the course of his collegiate basketball journey, you just have to go back to the last time he actually played a full season. During his 2015-16 campaign, his redshirt junior season at NCAA Div. 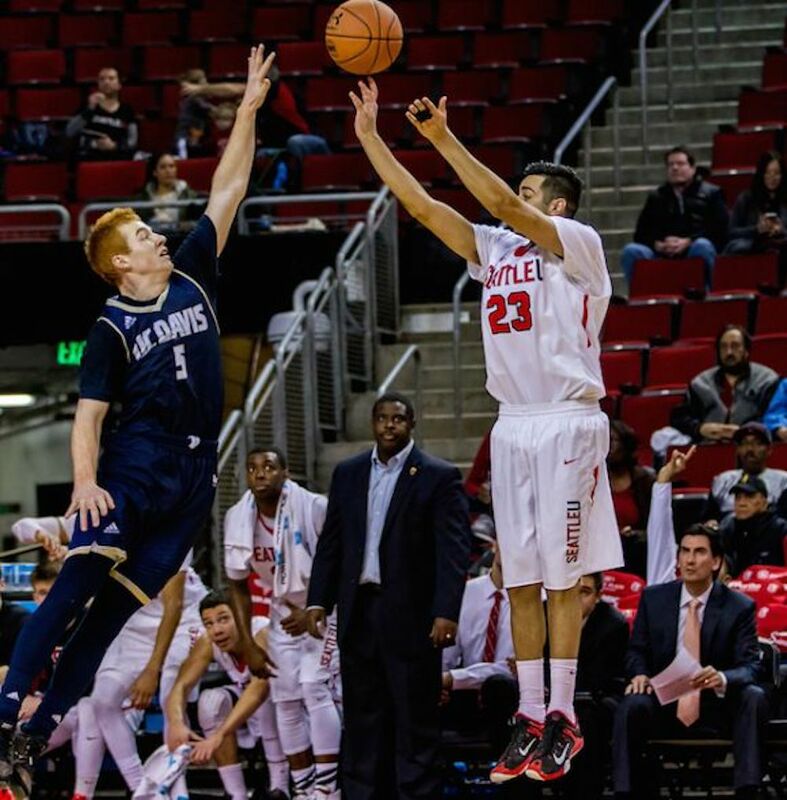 1 Seattle University, he enjoyed a stretch of eight straight games in which he knocked down at least three triples per contest, going 36-of-76 (47 per cent) from distance and averaging 15 ppg over that stretch. That season, Clair finished fourth in team scoring (8.3 ppg), shooting 38 per cent overall from three-point range while averaging 21.5 minutes per contest. Yet little did Clair know that when his campaign ended in March of that year with a loss to Vermont in the quarterfinals of the College Basketball Invitational, he would enter a soul-testing two-year span in which he wondered, at points, if he would ever play again. Clair began the 2016-17 season — his redshirt senior campaign — back in Seattle, but only appeared in three games with the Redhawks before deciding to leave the team and return home to be with his then-ailing grandmother on a more permanent basis. Thankfully, she has recovered, and Clair is thrilled that she will be able to watch him play this coming season at War Memorial Gym. Yet there was a huge fall-out from that 2016-17 campaign. 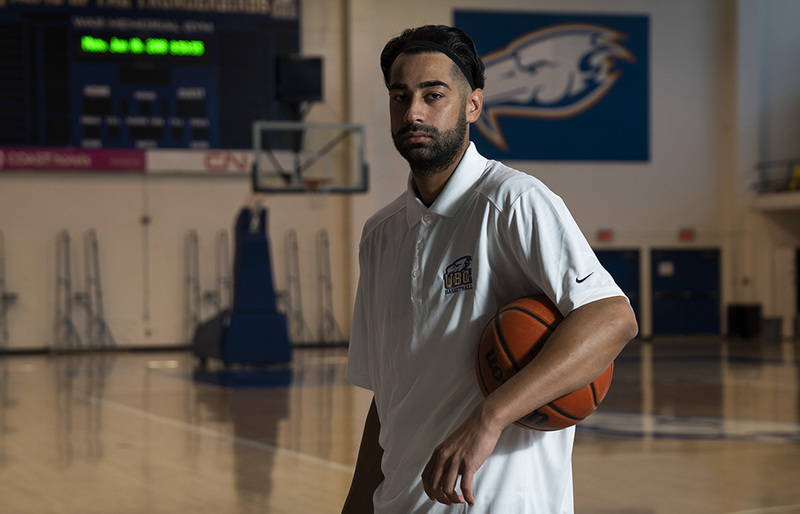 Once clearance was gained, his thoughts turned to his hometown UBC Thunderbirds, and the opportunity they represented to him in terms of two seasons of eligibility (within U Sports’ five-years window) and the chance, for a true student-athlete who had already received his degree, to study towards a Masters in management. 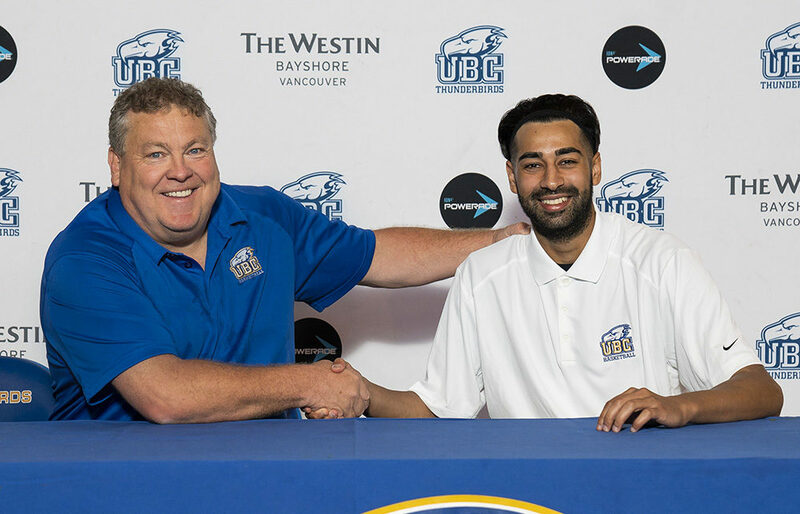 Clair, who spent last season coaching at his old club, Drive Basketball, couldn’t have been any more grateful for the turn of events that have delivered to him to a title-starved UBC program. FROM CALI TO TEXAS TO WIGGINS TO SEATTLE U! There is a level of maturity in Manroop Clair which places him in the upper one percentile when it comes to the history of UBC men’s basketball transfers and their level of seasoning before entering the program. Clair left Burnaby South after his Grade 11 campaign in 2010-11, determined to make the prep school route work for him. In the fall of the 2011-12 season, he attended two prep schools in just a couple of months, starting out at La Jolla Prep in southern California, before moving on to Trent International in Sugar Land, Texas. By January of 2012, however, his skills had carried him to renowned Huntington Prep in West Virginia, where one of his teammates was soon-to-be NBA No. 1 overall pick Andrew Wiggins of the Minnesota Timberwolves. Clair began his NCAA Div. 1 career by playing one season at Hawaii (2012-13), then sat out as a transfer to Seattle the next season (2013-14) before playing two full seasons (2014-15, 2015-16) with the Redhawks. It’s Monday morning in the gymnasium at War, and UBC head coach Hanson is standing off to the side of the court. The Chinese national team, set to face the ‘Birds in Wednesday exhibition, are scheduled to practice within War’s friendly confines in a matter of minutes. Yet always ready to rep his stroke at a moment’s notice, Clair is on the floor shooting triples. Hanson’s attention was diverted, and Clair kept shooting. Whatever the final outcomes was, it was a point well taken. Don’t underestimate what Hanson stresses, the fact that Clair can not only be a only a volume three-point shooter, but an absolutely efficient one as well. As a Grade 11 player, before he even left for Huntington Prep, he owned a step-back three that was fully collegiate in its execution and its results. Clair would regularly knock down 30-plus points for the Rebels. With Phil Jalalpoor now graduated and with rising fourth-year standout Taylor Browne likely lost for the campaign with an Achilles injury, Clair’s timing couldn’t have been any more perfect. Hanson advises that missing a year can contribute to some rust which may be apparent in the early stages of the pending 2018-19 slate. Yet there was a feeling of security in Thunderbird nation Monday because a guy who has always relished taking big shots in big moments was finally on their side. “I remember we were in Hawaii one year with UBC and we actually got a chance to go watch (Clair) play,” Hanson remembered of one of his team’s annual late December holiday trips to paradise.